I just got back from a great road trip through the Midwest! My best friend from college decided to have her birthday in Nashville and I decided to make a trip of it. I drove from Denver to Kansas City and checked in to The Crossroads Hotel. The Crossroads was stunning space with amazing art and great vibes. After Kansas City I spent the weekend in Nashville doing a lot of partying and even more eating! I would definitely recommend both cities and can’t wait to go back to both in the future! This hotel was GOALS and I am so happy that I decided to stay there. From the moment I walked in I was drawn to the space and the atmosphere of the hotel. Modern and minimalist packed with beautiful art and architecture, Crossroads is a must if you are staying in Kansas City. The Rieger Hotel was opened in 1915 and had beautiful historic touches. The tile floor and bathroom fixtures, remain original so if you are a history nerd like me The Rieger is a must. The happy hour menu offered great drinks and snacks and I sipped on a tasty French75! This foodhall was actually designed by the same people who created Avanti which is a Denver staple for me so I was eager to check it out. 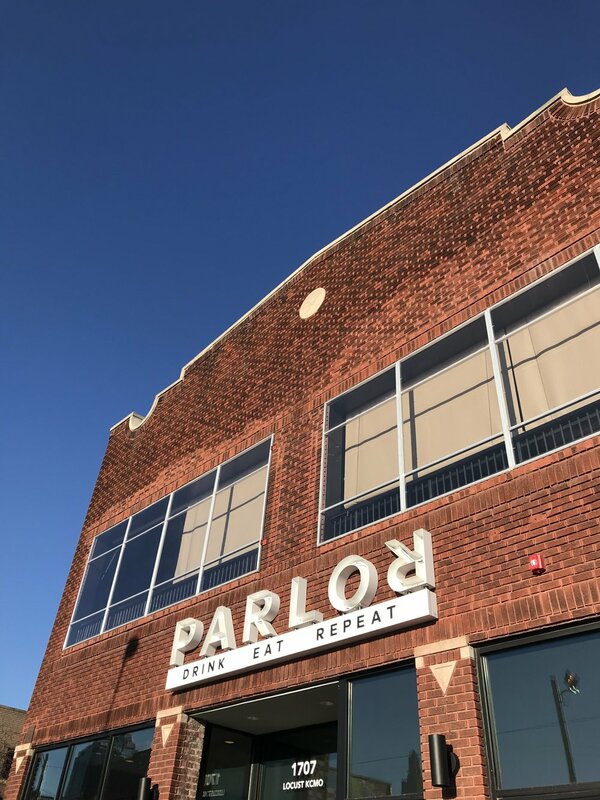 Cozy couches, great food options and an outdoor patio made the Parlor a great stop! Food spots include asian options, pizza, fried chicken and more! I did A LOT of barbecue research and was given so many recommendations and different options. The choices truly are endless but Q39 kept coming up so thats where I decided to go for dinner. It was PACKED so be prepared for a long wait. Luckily we snagged two bar seats and didn’t have to wait too long. 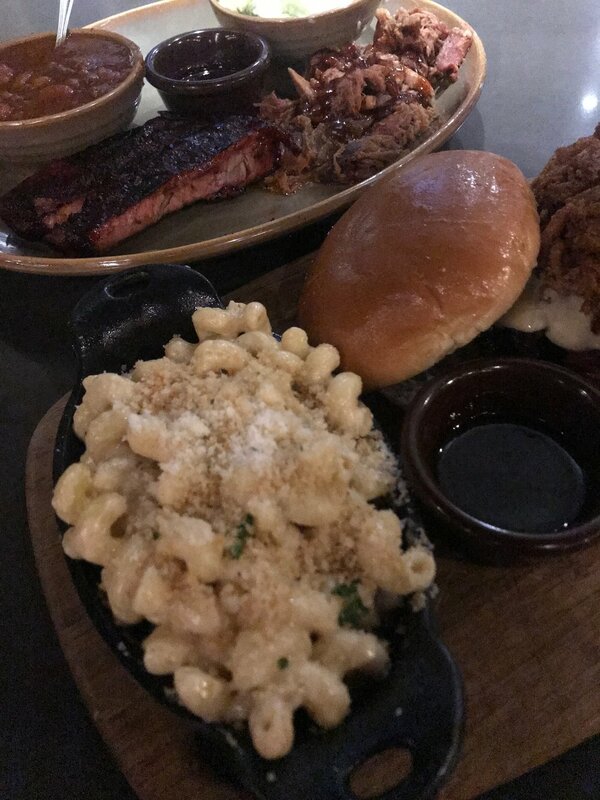 Burnt end sandwich, Mac & Cheese, Pulled Pork and Rib Platter....OH MY GOD. So good, so worth it...100% would recommend.